Service is fast and friendly. Customer service is awesome. I have been going to Axis for a little over a year. As a retired nurse my expectations are high as far as doctors are concerned. Dr Patel has met and exceeded them. He is an attentive, caring doctor who takes a personal interest in you and listens to any concerns you may have, no matter how busy he is. Best experience in a long, long time. 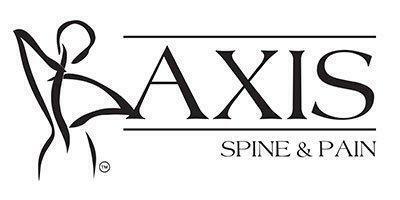 I have been going to Axis Pain Center for almost a year now and have been seen by Dr. Patel. He is a wonderful doctor, he remembers who you are, what your problems are and works very diligently to ensure that you're as pain free as possible. I have been to other pain centers over the past few years and this one is by far the best one yet. As always, I was very pleased with my visit. Dr. Viradia has the best bed side manner. He interacts with his patients. I used to be anxious about receiving shots in my back but he gets the procedure done effortlessly. Thanks Dr. V! I have been a patient of Dr. Vijay's for several years. First for something minor and then for issues and acute ongoing pain from a botched surgery. Dr. Vijay is not only compassionate, but has gone over and above to try and find the best plan to adjust to my changing needs and to try and make me as pain free as possible. His staff, along with the other doctors in the practice, at both locations, are very caring and all work together as a team to give all of their patients the best care. I'm very thankful to have a doctor who doesn't just want to give me meds and send me on my way, but wants to help me get better and off of my medications. That is a rarity, especially with pain doctors. Axis Pain Center is a first class facility! Service is great. I have had considerable relief from the various treatments. Dr VJay, you and your staff are awesome. Dr. Vijay is great. He listens to the patient and explains options for pain relief. Thanks for all you do. Superior care, pain management treatment & procedures for 1-1/2 years. From front desk to medical staff to Doctors; excellent care & follow-up evaluations. Axis Pain Center cares about their patients & that's a very good thing for this 70 yr old female. Highly recommended!